There's nothing worse than when you are scheduled for a great weekend out on the water and you have to watch the weather forecast as the conditions keep bouncing back and forth over the margin of go/no go. I was suppose to help teach an open coast class on Saturday and lead a Tomales Bay trip on Sunday. There was a storm due to hit on Saturday but it was a small one and an open coast class can handle a little rough weather. The trip on Sunday was for less experienced folks and definitely needed some better weather for paddling. The forecast stayed right on the margin and on Friday the decision was made to cancel the open coast class. It was absolutely the right call - it's impossible for students to learn when the conditions require all their attention just to paddle. But on we didn't cancel the Sunday trip - the storm had moved through the the winds were dying down. The forecast was for 10mph when I checked on Saturday night. It seemed like we'd be OK. On Sunday morning the forecasts has been revised to 15mph in the afternoon. And in truth the winds ended up being a little stronger than that. But luckily we had a good group of participants and I had three co-leaders who were most capable so we went for it. We got out before the wind was too strong and fought our way up into the wind, stopping for an important lunch break to get energy levels back up for more fighting. Then we were able to turn and run with the wind back home - it made for some fun surfing and interesting control issues. So everything worked out - we had a beautiful day of paddling on the Bay, saw lots of birds and seals and even a few otters, and everyone made it back without nary a swim. But the whole time we were right on that edge; the difference between a great day and an epic disaster being a fine line determined by which margin the weather falls into. My friend Helen is working on an article on rescues and wanted to get some pictures in rough water. Seems simple enough. She lives in Arcata and Trinidad is just a short jaunt up the coast - it has a protected harbor for launch and you can paddle around to the famous 'smack wall' for more exposure and reflected waves. With a forecast of 5-6' swells and 10-20 kt winds it sounded like the perfect conditions to get some choppy water but still be able to get pictures. But of course every time you want the bad weather it completely fails to materialize. We had some swell - 4' @16 sec - but without any significant wind the ocean just looked flat. We got nice shots of flat water rescues but the rough stuff was harder to capture. Even with the occasional 10' swell the next day it still didn't look impressive through the camera lens. But it wasn't a total waste on the photography front. 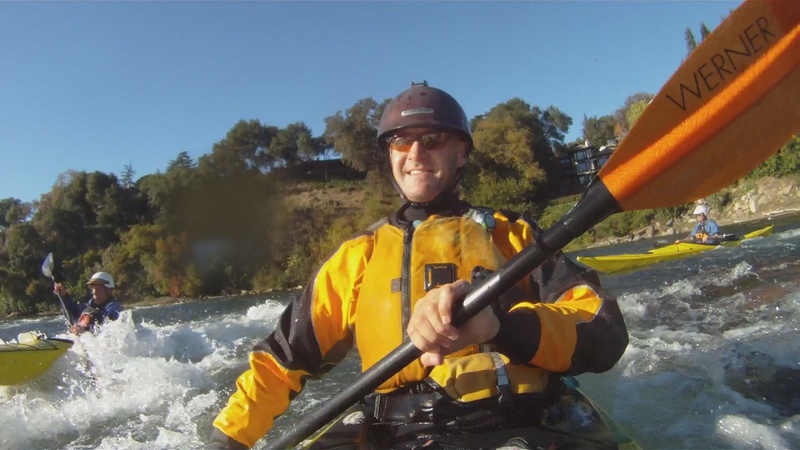 Aside from the rescue shots we did manage to get a little paddling in and we had a beautiful sunset one night as well. I've been talking a lot of photography lately - from bugging some professionals for tips to being asked for advice (which is weird because I know so little...). I finally feel like I'm getting a grip on what it's all about and hopefully it pays off in my work. It seems the ratio of quality to crap is definitely improving. But thank god for digital since it still takes dozens of shots for one good one. More of my pictures from the trip can be found on my Picasa Page. Here's a little clip of some rolling in the pool. Really just wanted to see how the camera angles came out so it's not the best footage or most descriptive. But I'm working on an article on rolling and wanted to get some shots to see what I might be able to put together for it. Mostly concentrating on the basics and differences between the modified sweep roll and the C to C. The photo sequences came out fairly well and can be seen HERE. It seems to be the quintessential SF Bay paddle - launch from somewhere in Marin, paddle around Angel Island, play in the tidal current and head back home. I don't know how many times I've done the trip but it always a good one. Like most things it depends on who you're with. Last week I headed down midweek with some friends - one of the benefits of a crappy economy is that folks without jobs can go paddling on a Wednesday. It was a fine fall day and we caught the ebb at both Pt. Stewart and Yellow Bluff. Yellow bluff is the most popular tidal race play spot because it is convenient and the largest but I think Pt. Stewart is a much nicer spot. The video shows both but probably not a fair comparison since we started at Stewart and didn't get to Yellow Bluff until past max ebb and it was dying down. Pictures HERE. The other day the big boss came to town (Keith Miller, owner and president of CCK) for an evening meeting and invited any and all comers for an afternoon paddle on the river. The river being the lower American River that runs through Sacramento. And in spite of its class II rapids the plan was to use sea kayaks. It's something that doesn't work everywhere and can be just plain silly, but some rivers are perfect for getting in a little long boat paddling and even some surfing. The American is such a river and being smack in the middle of a large city doesn't stop it from being a beautiful and scenic paddle. 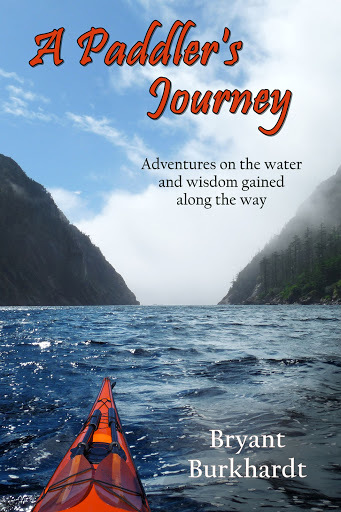 I took the chance to try out Jackson Kayak's touring boat the 'Journey'. At 14' it's a short sea kayak, basically the high end of their rec boat line. With Jackson's great whitewater boats lots of folks saw the pictures of the Journey and thought it might make a good rock garden boat. But things in real life are never as good as you imagine them to be. 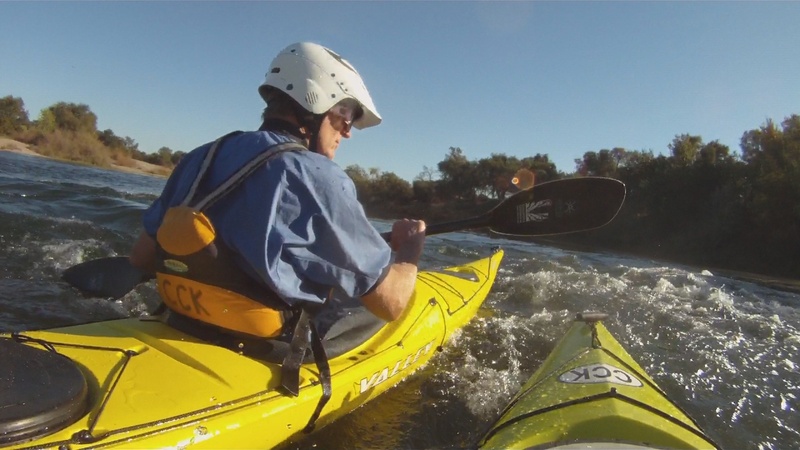 When I got into the boat it had a good, near-whitewater fit and it had incredible secondary stability. But once I tried to turn it I realized that the integral keel which helps it track so well keeps the boat from spinning. Even up on its edge it is a bit of a struggle to swing it around - one of the most important things in a good ocean play boat. It's lack of rocker also limited its surfing potential. It seems a little wrong to be disappointed that a boat does exactly what it is suppose to (paddle flat water straight, solid and efficiently) but we always hope to find that magic boat that does everything. Oh well, still a fun day.